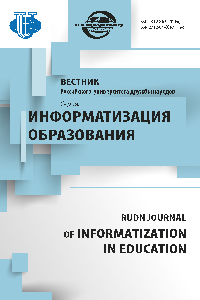 The journal is intended for publishing the results of applied research of scientists, teachers and RUDN University staff in the form of research articles, review scientific papers, scientific reports, bibliographic reviews on the topics of scientific research related to Informatization of all spheres of the educational process. 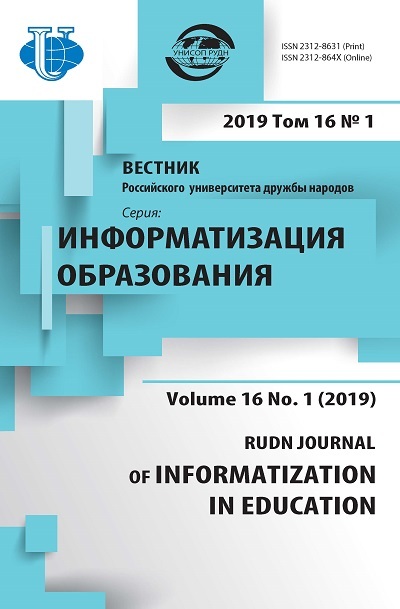 The journal can also accept for publication materials, presented by Russian scientists, not being employees of the University, and materials submitted by scientists of foreign countries, scientific value and suitability for publication is determined by the Editorial Board. Kirgizova E.V., Narchuganov K.N., Pak N.I., Khegai L.B.